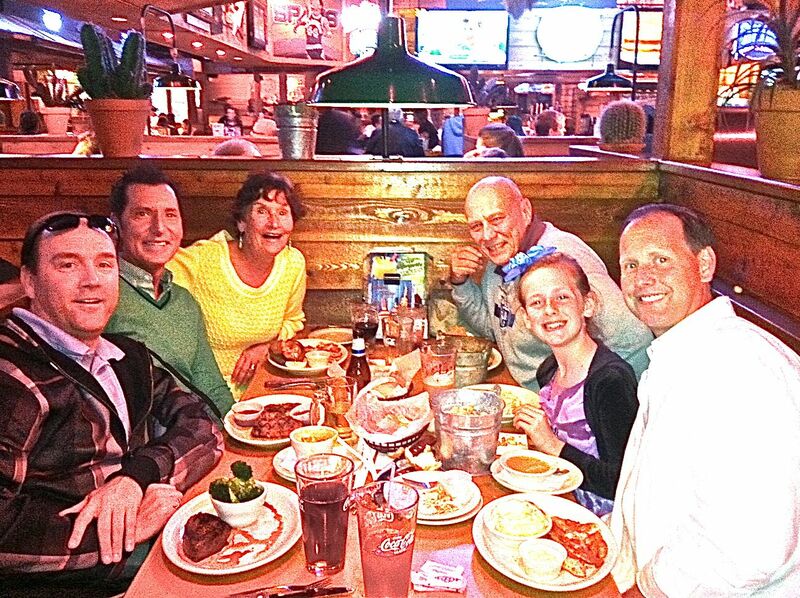 We got together with sons Darin and Eric, granddaughter Parker and Kerry at Texas Roadhouse. Cindy and Kendyl had other obligations and sorry to have missed them. Think this is a favorite of Darin and Kerry's as they know many of the staff. We had a good visit with all our kids and grandkids as well as friends. We are so blessed. Hated to say goodby, but need to head down the road on our journey. Tomorrow we stop in Beaumont for 2 nights at the Gulf Coast RV Park where we have stayed before. In spite of the name, it is not on the coast. Thanks guys for dinner. Catfish delish. Had a fun time. Parker, keep up the interest in Cheer Athletics and good luck on future competion with your team the "Ignites". Enjoyed your videos. Kendyl, congrats on Junior Honor Society.